"... you don't learn jazz in school. You don't learn it; you have to do it. You have to go out and learn jazz by playing. Jazz is a way of life, and you have to learn about it on the street, so to speak. But the training comes in by giving you the tools to work with." 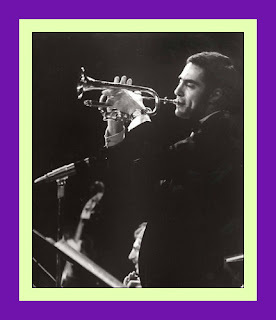 “The Paul Horn album, entitled Something Blue, was obviously influenced by the Miles Davis album, and indeed the Paul Horn group was one of the first fully to explore the new territory opened by Miles. “One final word: if you are not a musician and can't tell a bar from a saloon, don't let this deter you. As Paul cogently observed: ‘Any layman could listen to this music and tap his foot to it without knowing there is anything so different about our approach to time or meter.’ Then he thought a moment, smiled, and added a postscript: ‘Except, of course, the layman might wonder once in a while why his foot was out of step.’"
Paul Horn [1930-2014] achieved international stardom as a musician who was recorded playing his flute in exotic and romantic settings such as the Great Pyramid of Egypt or the Taj Mahal in India. He even formed his own quintet which played original music that combined both modes and unusual time signatures as the basis for improvisation [think Miles Davis’ Kind of Blue Meets Dave Brubeck’s Time Out]. 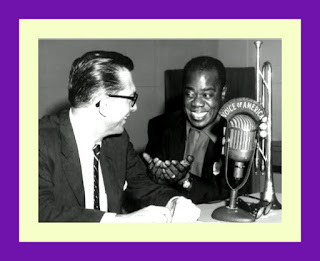 One of the most detailed interviews about the Paul Horn Quintet and it inclusive approach to Jazz was written in 1961 by John Tynan who was an Associate Editor for Down Beat magazine at the time. “In earlier days of jazz it was fashionabe in some allegedly responsible critical circles to over-venerate the hardy worthies who created tradition in their own time and owed little or nothing to formal musical schooling. At the same time, the musically sophisticated jazz musician was regarded with squint-down-the-nose suspicion. It was an early manifestation of the lamentable tendency to place "sincerity" and "roots" above musicality and technical proficiency, thereby distorting aesthetic values. As in all the arts, basic craft training for the jazzman is indispensable today. Miles Davis attended Juilliard. So did Phil Woods and many of the newer crop of players. 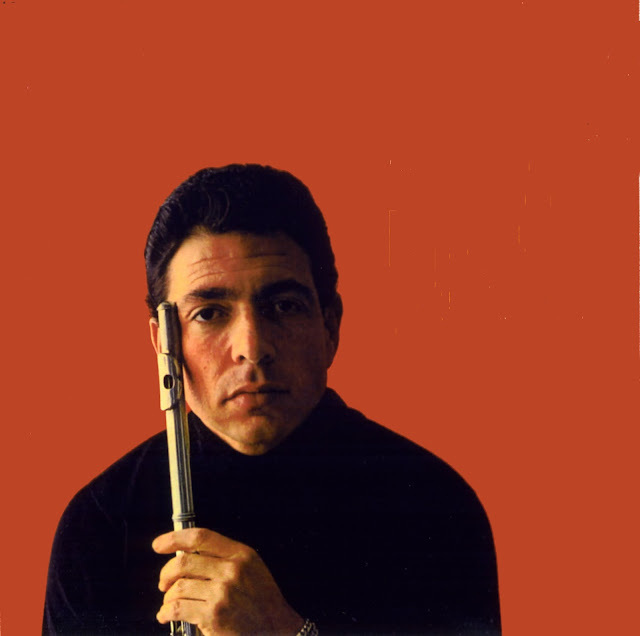 Johnny Mandel is an alumnus of the Manhattan School of Music, one of the many academies for burgeoning musical minds and talents. 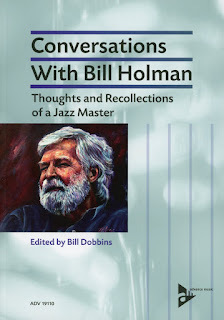 In this connection it might even be said that there is a new breed of jazzman emerging today, a jazzman conversant with the classics, rooted in study and legitimate training. Personifying this new breed is 30-year-old Paul Horn, a thoroughly educated musician who can hold down down a woodwind chair in any top symphony orchestra and, with equal aplomb, speak eloquently and authoritatively in a jazz voice considered by many to be one of the more significant developing. His competence cannot better be illustrated than by the fact that Duke Ellington recently chose Horn to fill Johnny Hodges' saxophone chair during the recording of Suite Thursday. Hodges was ill with an ulcer and hospitalized in New York City at the time of the Hollywood session. A Phi Beta Lambda out of Oberlin Conservatory and an alumnus also of Manhattan School, Horn today finds himself leading an almost schizophrenic musical life. 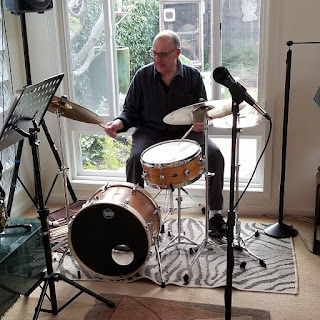 His bread-and-butter money flows from studio work in movies, phonograph recording, and television, but his kicks and really creative work as an improviser lie in his quintet, now disbanded for the time being. 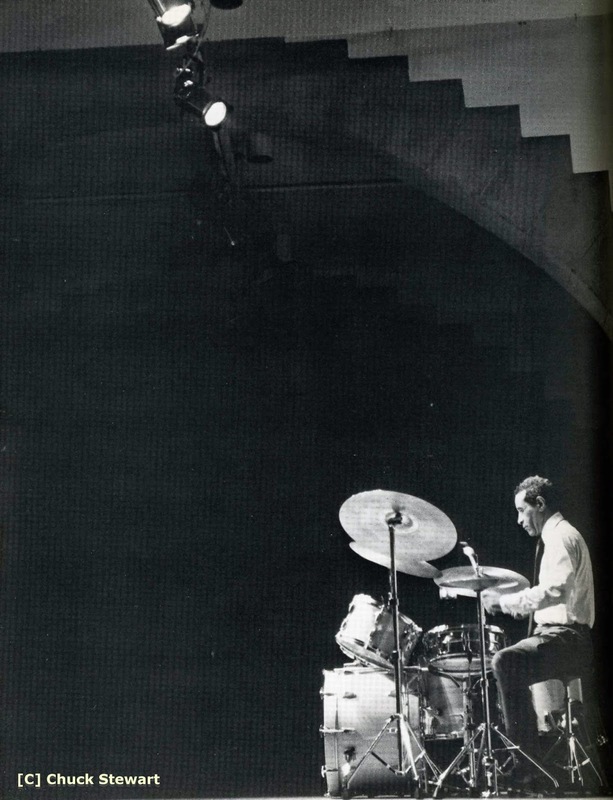 With the vibraharpist Emil Richards, pianist Paul Moer, bassist Jimmy Bond, and drummer Larry Bunker, Horn has forged a unified and musically adventurous group that, for an extended period in 1959 and '60, found a home at Hollywood's Renaissance Room. Horn's ideas about music are reflected not only in the individual and collective playing of all the men but in the writing also. 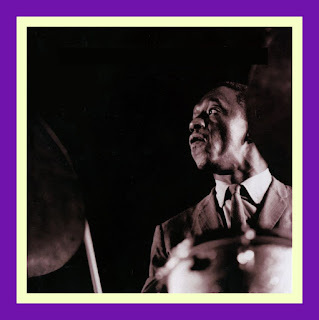 Generally this leans toward what the leader terms "modal jazz," i.e., jazz that attempts to free itself from the stricture of set chordal changes and patterns so that it may draw its substance instead from the linear mode employed in the writing. Horn explains the direction his group is taking by declaring simply, "Jazz has to have as much variety as modern classical music." Thus, the turn to modal form of writing and improvising. There is more to it than that, however. "The modal form," said Horn, "gives the player more freedom to improvise because he doesn't have to get involved in the changes. The conception is more melodic than harmonic. We relate everything to a scale rather than to a set of changes; a given tune, for example, might have only three chords." Of the three modes in western music — Dorian, Hypodorian, and Phyrgian — Horn and colleagues concern themselves chiefly with the Dorian, although the leader's Mr. Bond, written to feature the bassist, is in Hypodorian. The modal principle, Horn pointed out, is quite ancient. "The ancient Greeks," he said, "started it, and Ravel used modes a lot in his writing." Elaborating on the form, Horn explained, "There is a definite chord played but it arises from the mode. But instead of the melodies arising from the harmonies, the reverse is the case. The chord is the result of the mode, you see." "Of course," he continued, "you don't always have to stick to the mode. For example, Tall Polynesian is partly modal, partly standard changes." His personal reaction to working in modes, he said, is to "feel freer,because after years of playing with changes you get into a rut. You find yourself playing cliches; your mind falls into set patterns. It's almost like an IBM computer — your mind tells you that such and such a set of changes is coming up, and you respond accordingly. "Miles and Coltrane are two of the best examples of modal playing. And somebody who's been doing this for a long, long time — 15 years or so — is Dizzy Gillespie. So thinking in scales is not a new idea; it's as old as music itself." Richards, according to Horn, is responsible for their turn to this musical approach. "He was the first man in the group to discuss it with me," said the leader. "Jazz today," said Horn emphatically, "is getting involved. For one thing, it demands a much higher technical knowledge of a musician. And people getting into it today don't have any choice — they've got to have the knowledge. "But jazz doesn't have to get sophisticated—I don't mean that. It's still got to swing. I'm not trying to formalize jazz and take the swing from it. And I think our latest LP (Something Blue, Hifijazz J615) attests to this." 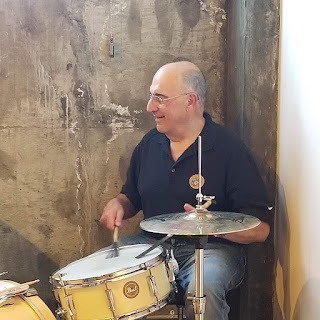 He shrugged and smiled, but his smile held a hint of frustration, and he added, "You know, it's funny to find there are people still around who think if a musician has schooling, it automatically makes him a lesser jazz player." Then he quickly added, "But you don't learn jazz in school. You don't learn it; you have to do it. You have to go out and learn jazz by playing. Jazz is a way of life, and you have to learn about it on the street, so to speak. But the training comes in by giving you the tools to work with." Horn stressed that he sees no "total answer" for jazz in a modal approach; in fact he concedes that modal forms can become as limited as other forms. "We've found," he admitted, "that you can fall in a rut playing modal things all night, too. So, we want to experiment further, to find new avenues of expression. The Oriental scales, for example. I'd like to research those, too. Basically, what we're trying to do is to limit the harmonies, to put a hold on 'em. This gives the improvisation more freedom. 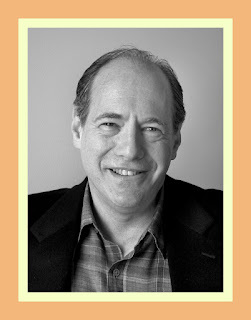 "In San Francisco recently I heard some musicians talking about the modal forms. They were saying that they were beginning to use this approach on their gigs. Hendrik Meurkens - "Harmonicus Rex"
Thinking in Jazz - "Seeing Out A Bit"
Mike Freeman and Zona Vibe - "Blue Tjade"